You already know it’s not good for you, but scientists from the University of Las Palmas de Gran Canaria and the University of Granada, wanted to find out just how bad for your mental health fast food really is. Analyzing data from 8,964 participants – that had never been diagnosed with depression or taken antidepressants – of the SUN Project, researchers assessed people for an average of six months. What were the results? Consumers of fast food, compared to those who eat little or none, were found to be 51% more likely to develop depression. 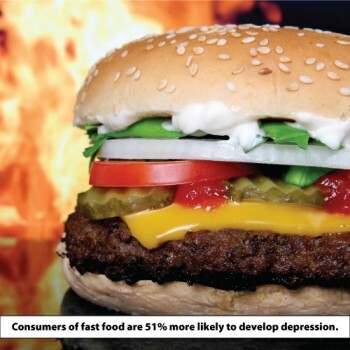 Even more compelling was that the link between fast food and depression appears to be dose responsive – that is the more you eat, the greater your risk (Sanchez-Villegas et al., 2015). And this was actually a duplicate study. 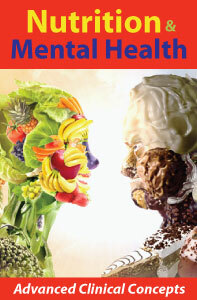 The SUN project had already uncovered a link between fast food and depression in its 2011 study. There, fast food consumers were found to be 42 percent more likely to develop depression than those who consumed no fast food (Sanchez-Villegas et al., 2011). If you are thinking that just a little won’t hurt you, you’d be wrong. According to one of the university researchers who participated in the study, “Even eating small quantities is linked to a significantly higher chance of developing depression.” What’s the takeaway? That happy meal might not only be promising more than it can deliver; it might actually be making us feel worse. We know that eating more fruits and vegetables, nuts, and foods high in omega-3 fatty acids, and eating less fast food improves mood and lowers levels of depression. 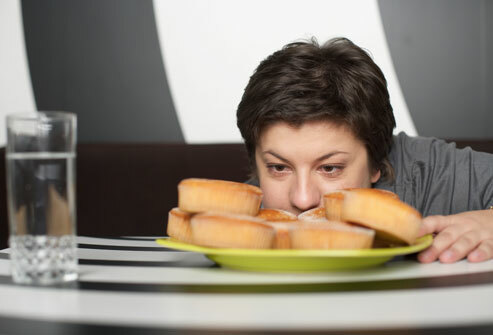 Yet the question still remains: How much does caloric intake affect how we feel? Furthermore, a dose-response relationship was observed. In other words this means that “the more fast food you consume, the greater the risk of depression,” explains Almudena Sánchez-Villegas, lead author of the study. With regard to the consumption of commercial baked goods, the results are equally conclusive. “Even eating small quantities is linked to a significantly higher chance of developing depression,” as the university researcher from the Canary Islands points out. The study sample belonged to the SUN Project (University of Navarra Diet and Lifestyle Tracking Program). It consisted of 8,964 participants that had never been diagnosed with depression or taken antidepressants. They were assessed for an average of six months, and 493 were diagnosed with depression or started to take antidepressants. This new data supports the results of the SUN project in 2011, which were published in the PLoS One journal. The project recorded 657 new cases of depression out of the 12,059 people analysed over more than six months. A 42% increase in the risk associated with fast food was found, which is lower than that found in the current study.